Target player discards a card. Raven's Crime and Wrench Mind are probably your weakest cards. If you're looking for room, I'd start there. Honestly. You're probably 100% right, but we won't find out for about 6 days as I took my old "The Rack" deck and reassembled it and the Waste Not are a new addition which I ordered in the mail and didn't arrive in time for modern night. They may end up being sideboard against decks with a lot of card draw? I thought they would be good because if I Inquisition of Kozilek turn 1, Waste Not turn 2, then on the third turn each discard will produce extra value and if I have a Wrench Mind or Smallpox or Raven's Crime and they choose to discard a land, it gives me mana to empty my hand in turn emptying their hand. Its highly likely that this doesn't actually end up being the case. I used to be an avid rack player, got out of magic for a while, and then ever since I have been back have thought about building 8rack ( Shrieking Affliction didn't exist when I played it) and I finally just got the Liliana and Shrieking Affliction to put it together. 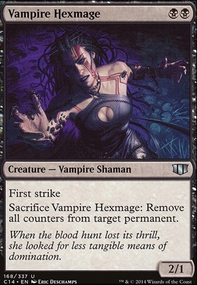 I am however also considering removing Fatal Push for Liliana's Triumph as it would come for an extra mana with card value of a discard in many situations and at instant speed, plus the kill spell aspect would be unchanged. Would love your thoughts on that because again, I haven't played Rack in quite a while and it seems to have improved quite a bit (although the entire meta has power-creeped). abbatromebone Targetted hand disruption is great the first few turns but can be problematic beyond. I actually don't support the idea of a full 8 IoK/Seize set. You're better with more multi-functional-untargetted discard. I also don't think running a full play set of Raven's Crime is worth it either. You essentially only need 1 copy per game. It's room you could use for other stuff, and let's face it, 8Rack is very limited on space. I posted this on your help slot but here it is again so you dont have to flip as much. - So 4 Liliana's is a great thing to have which i see you do have. Now you want the most effective one drop and 2 drop spells you can get your hand on. - 4x Inquisition of Kozilek 4x Raven's Crime (you are trading 1 card for 2 thats why its so good) 4x thoughtseize (best hand disruption in the game!) 4x Collective Brutality I see a lot of these in 8-rack decks, probably because its a versatile card. - Smallpox is life loss, removal, and card removal! 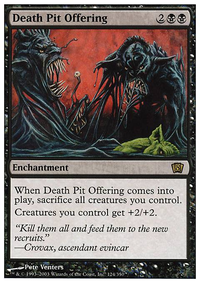 - Fatal Push is a classic removal spell in black in modern because of fetch lands and cards like Ghost Quarter . - you have all 4 racks which is good, I am unsure about Ensnaring Bridge he isn't the strongest card in modern (surprisingly), and for sure isn't worth 4 card slots. - Shrieking Affliction is an amazing card for you, so its good you have 4. - Every 8-rack deck i have seen has 4x Mutavault so he is probably important. None of them have had Deathrite Shaman . 2x Hostile Desert could help as well. Now I have seen some decks use Wrench Mind and some decks have used Funeral Charm charm as well, but only 2 or 3 per card. As for your SB (sideboard) 100% of decks have: 1x waste not, 4x surgical extraction, 2x dark confident. I would recommend damping sphere for when you fight storm. So 4 Liliana's is a great thing to have which i see you do have. Now you want the most effective one drop and 2 drop spells you can get your hand on. 4x Inquisition of Kozilek 4x Raven's Crime (you are trading 1 card for 2 thats why its so good) 4x thoughtseize (best hand disruption in the game!) 4x Collective Brutality I see a lot of these in 8-rack decks, probably because its a versatile card. Smallpox is life loss, removal, and card removal! Fatal Push is a classic removal spell in black in modern because of fetch lands and cards like Ghost Quarter . you have all 4 racks which is good, I am unsure about Ensnaring Bridge he isn't the strongest card in modern (surprisingly), and for sure isnt worth 4 card slots. Shrieking Affliction is an amazing card for you, so its good you have 4. Every 8-rack deck i have seen has 4x Mutavault so he is probably important. None of them have had Deathrite Shaman . 2x Hostile Desert could help as well. Vman nice to meet you sir, it would seem were brothers in arms. I'm not exactly new to 8 rack anymore, I've been playing this list for a year or 2 now (I should probably update my deck description here since I made it when I first posted this deck back then). I occasionally get grunts and groans for playing it, but in my experience its less because the deck is a 'bad experience deck' (though I certainly see why it is and should be) and more because people don't see it as a 'real deck' and want to play against something stronger to practice for their gps. I sincerely enjoy watching those people writhe on the rack. Alot of the changes you're suggesting I make are actually things I've gone away from over time due to my own experiences. For example, I used to run 4x Raven's Crime , and I agree it's one of the most powerful discard spells in the deck (I personally think it's second to Smallpox ). I went down to a 3 of not because I doubt it's power, but because each copy I draw after the first is effectively a land with fewer options. 3 allows me to consistently get to the first one, and less consistently just have my hand flooded with them. Once upon a time I played Thoughtseize and Inquisition of Kozilek both as 4 ofs, and found that they weren't worth it. Turn 1-2 they're great options, but after I throw off my opponents early game I don't much care what they discard as long as they do, in fact, discard. Mid-late game after I have my opponent top decking helplessly, I found that when they drew a land they'd hold it, knowing that lands are the hardest things for me to make them discard, so when I draw a Thoughtseize and cast in an attempt to keep them on the rack I'm literally almost bolting myself for no purpose. I decided 6 of these was the number that allowed me consistently have one or 2 of them in my opening hand but not rely on them so much later. So far it's working out for me. Infernal Tutor has only ever over performed for me. I frequently run with no cards in hand, so it's effectively a demonic tutor. And if a card is powerful enough to get restricted in vintage, I damn sure want it in modern. If I don't have hellbent, i hold it until I do. The only time it doesn't work out for me is if I have the misfortune of drawing the second while I'm still holding the first (which is why I only run 2 of it) in which case I'll often use one to tutor for a lili or a removal spell. Less good because I'm limited in what I tutor for. But still good. There's been exactly one instance where I had to fail to find a third copy of Infernal Tutor to keep my hand size down for bridge, but even that was fine because more often than not bridge is what I tutor for with hellbent. The land issue you mention is sorta the one I've been running into. I'm guessing you found my deck from my post in the forums, in which case you probably saw that my lands are on the working list. I intend to cut the Mutavault s as soon as I find a better working alternative for an alt win con. I'm toying with the idea of Liliana's Caress as a 2 of. Something that allows me to still use it if I have to hide behind bridge. Plan for now is to have my 4 colorless lands be ghost quarters to help keep tron off their game and make sure revolt is easy to come by for Fatal Push . Plus I know from experience how much fun it is to ghost quarter 3 of their lands and use Shadow of Doubt to deny them their search, have to assume it's more fun with 4. First of all, since im assuming you are still somewhat new to 8rack i just want to make a disclaimer. People will generally not really enjoy playing against you. 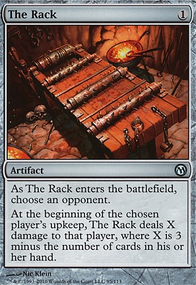 *rack is the type of deck to cause grunts and make people want to go to the next game. so if you arent the type of player that enjoys seeing others in misery i do suggest picking up a different deck. Overtime it really gets to pilots of 8rack. The reason for this is you run 4x Smallpox while still needing the mana for your 3 drops. Dont worry about extra land draws as they are excellent fodder to LILY and Raven's Crime . Also people have done the math for AAAGGEESSSS. With 4 urborgs and 24 lands its been noted you can have up to 5 colorless sources. Most people only do 4 but some go for the additional 5th as either Field of Ruin , Hostile Desert or Blinkmoth Nexus . Ghost Quarter is cool and fast, but losing lands early unless its pox value does hurt the deck. 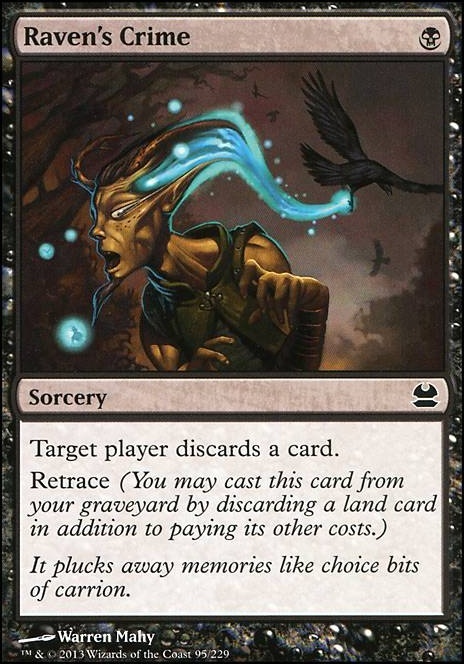 Usually theres 6-8 targetted 1 mana removal spells (and you always play these first) the most common form found is 3x Thoughtseize with 4x Inquisition of Kozilek but if budget is a concern Blackmail is the next best choice followed by Duress . I alongside the majority of people run 7 of these cards. Delirium Skeins is generally a sideboard card. 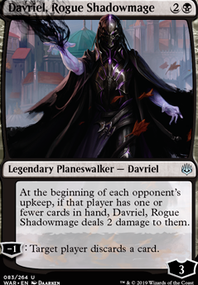 its boarded in versus that leyline that gives hexproof (making your targetted discard worthless) or against controll decks that draw so many cards where 1 for 1 discard isnt good enough. the reason why its not mainboard is because its too slow. another important note is to play 4x Raven's Crime YES, i know the card looks weak. but that is what every new player to 8rack feels like. but ask any veteran and its easily one of the most important and best cards in the deck. many times on turn 2 will you ravens crime into discarding a land for another activation. assuming you were on the draw and played a 1 mana discard spell t1, and your opponent played 2 spells and 2 lands hes 1 card away from being hellbent already. the card makes lategame lands fodder and its easy to discard to smallpox or lily. PLAY 4 NO QUESTION. Infernal Tutor is a card some people like, some dont. most people who do like it usually have it as a 1 of but ive never played with it personally so i cannot really comment on it.